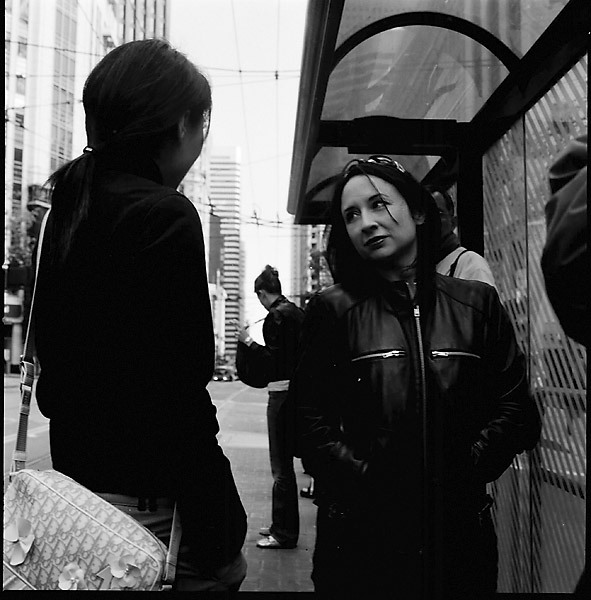 Dy: Waiting at the MUNI stop on 3rd and Market. Snapped on: April 13, 2005. Hasselblad 500C/M, Planar 80 C T* ISO100, Fuji Neopan Arcos 100 film, developed with TMax Dev 5½ minutes @ 20°C.